Lock in a great price for Vila Gale Porto - Centro – rated 8 by recent guests! The hotel was nice, a bit outdated but very comfortable. Staff was very friendly, they helped us with directions to move around the city. The pool was very nice, perfect to relax after a long day. Nice buffet breakfast. Wonderful staff. Fast check in. Live music at the bar on Saturday night was really nice. Good breakfast. Staff could speak English and helped make us feel welcomed. Nice comfy room, with excellent breakfast and dinner. They had live music in the Lobby Bat area Sat nights which is nice. We had a view of the city from our room. Bfst is 8 E if you pay at check in. Otherwise it is $10.00E. Kids under 12 are free. You can eat Bfst at a local cafe for 3 people for $10.00E. Staff were very helpful. The restaurant was too expensive, but the food was good. 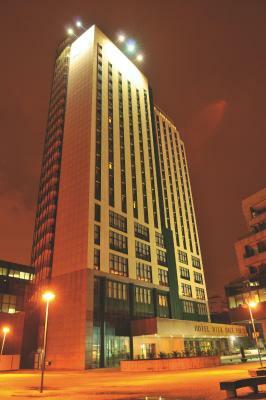 The staff were great, parking was easy , the rooms were large and comfortable and the breakfast was excellent. 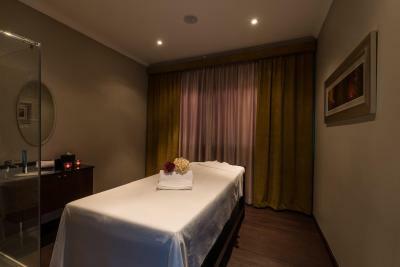 Very comfortable room, beautiful view, clean and spacious bathroom, friendly and helpful staff. 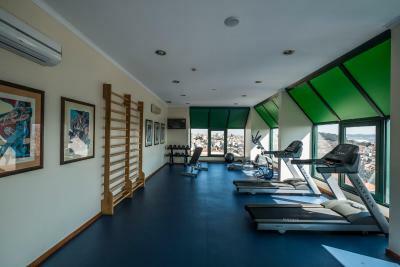 Vila Gale Porto - Centro This rating is a reflection of how the property compares to the industry standard when it comes to price, facilities and services available. It's based on a self-evaluation by the property. Use this rating to help choose your stay! 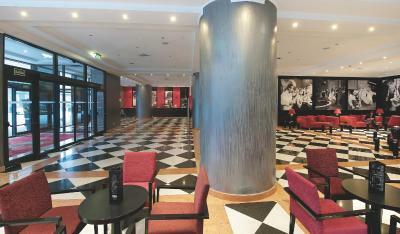 This 4-star, central Porto hotel is 950 feet from Campo 24 Agosto Metro Station. 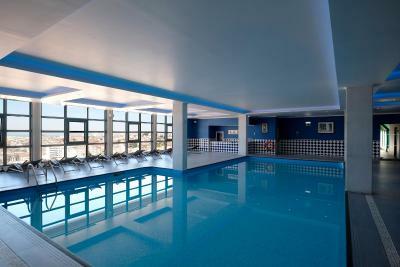 The Vila Gale Porto features a health club with an indoor swimming pool. 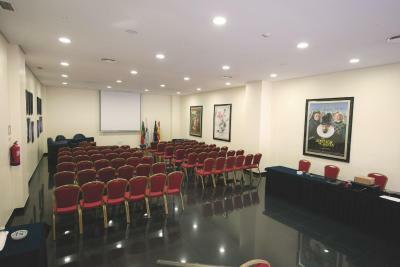 The Rua de Santa Catarina commercial district is a 10-minute walk from the property. 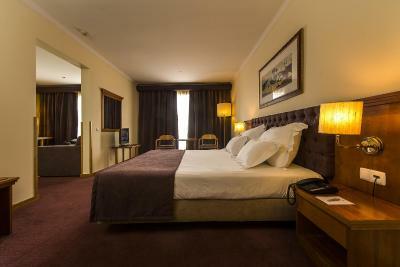 The spacious rooms and suites at Vila Gale Porto are air-conditioned and feature bright décor. 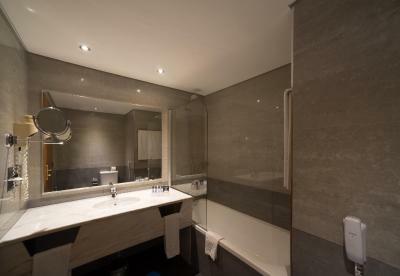 All have a flat-screen cable TV, minibar and a private bathroom, including a hairdryer and free toiletries. 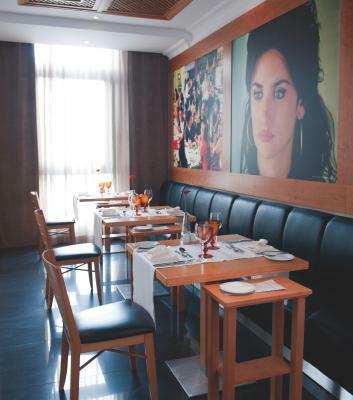 Vila Gale Porto’s Paris-Texas Restaurant serves Portuguese cuisine and pasta. 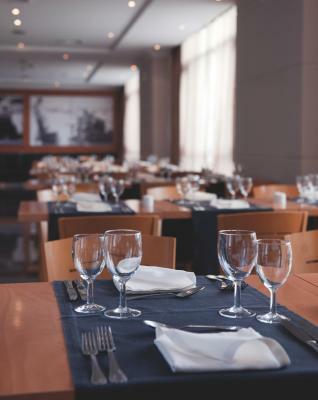 Room service is available 24/7, for an extra fee. 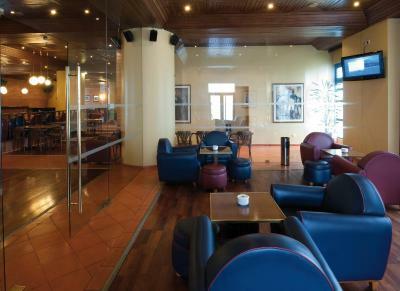 Guests can enjoy wine from the hotel’s vineyard Casa de Santa Vitória, at one of the 2 bars. 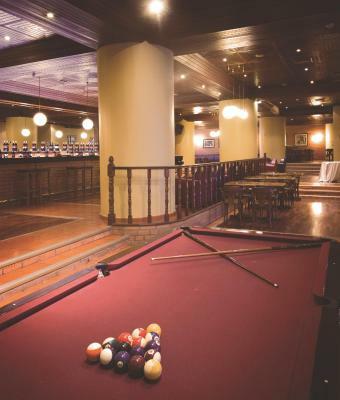 A billiards room is also available on site. 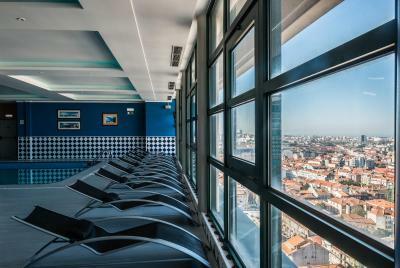 Vila Gale’s Health Club features an indoor pool, sauna, hot tub, turkish bath, tanning bed, vichy shower, massage treatments and fitness center with views of Porto city. 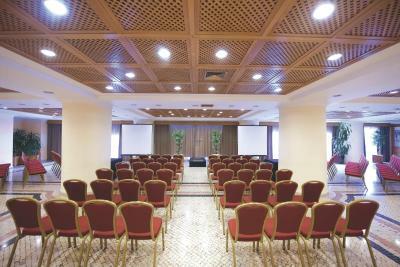 Wi-Fi is available in all areas of the hotel. Central Aliados Avenue is just under 1 milesss away, and the Clérigos Tower just under 1 mile away. 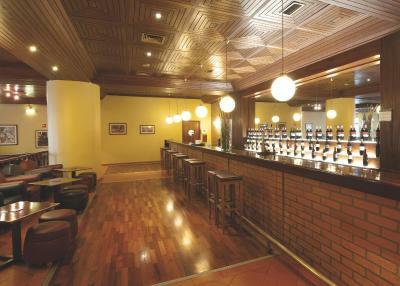 Dom Luis I Bridge is just under 1 mile away and is next to Ribeira and the Port Wine Cellars. 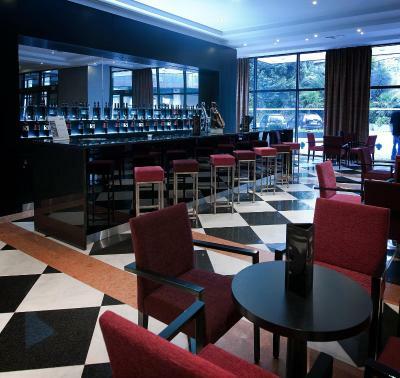 Galerias de Paris, Porto's main bar area, are a 10-minute drive from the property. Campanhã Train Station is just over half a mile away. 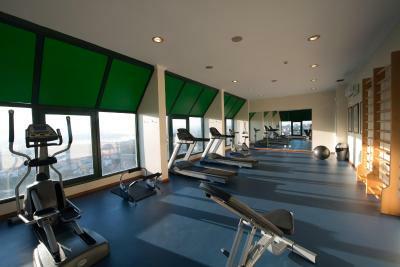 The hotel is located 9 miles from Francisco Sá Carneiro Airport, and has direct access to the Porto Metro system. 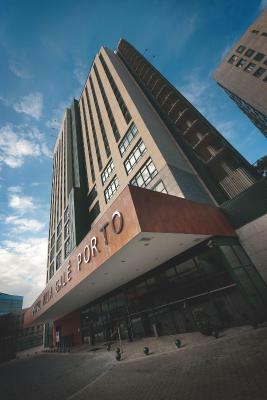 Bonfim is a great choice for travelers interested in monuments, walking and riverside walks. 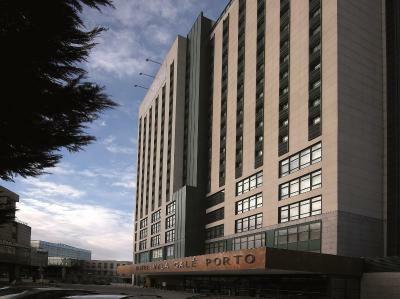 When would you like to stay at Vila Gale Porto - Centro? 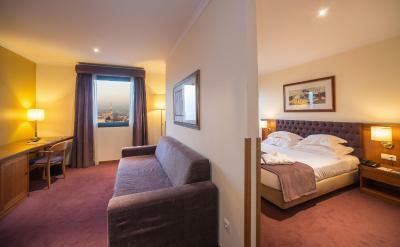 Offering panoramic views of Porto from an upper floor, this room comes with a free mini-bar and Wi-Fi access. 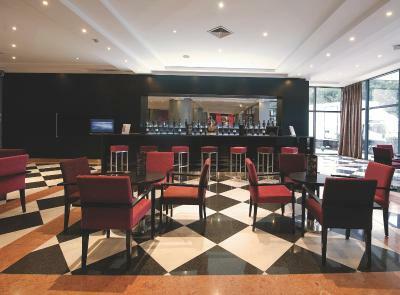 Guests can enjoy water and fruit upon arrival and a free parking space subject to availability. 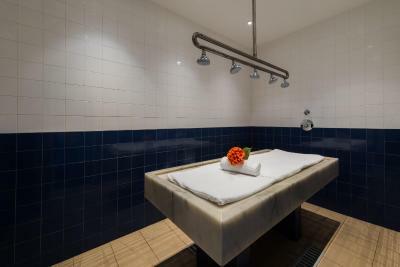 The private bathroom includes a complimentary bathrobe and slippers. Public parking is available on site (reservation is not needed) and costs EUR 7.50 per day. This modern room is decorated with wood furniture and carpet floors. 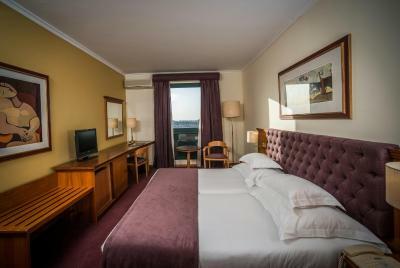 Overlooking the city of Porto, the air-conditioned Twin Room has a flat-screen cable TV and a work desk. 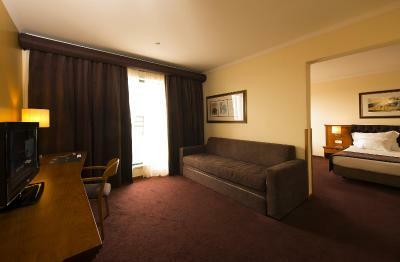 This spacious suite offers a separate living area with sofa bed. 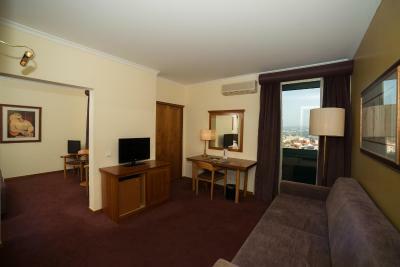 This suite overlooks Porto and has an LCD TV, living room with sofa-bed and a complimentary mini-bar. Free Wi-Fi access is available. 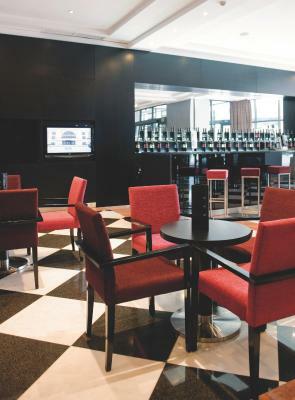 This suite features air conditioning, seating area and mini-bar. This twin room has air conditioning, mini-bar and cable TV. 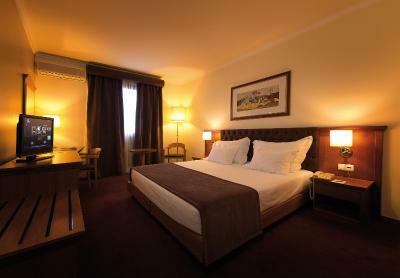 This twin room features a mini-bar, air conditioning and flat-screen TV. This suite has a seating area, air conditioning and mini-bar. This suite features air conditioning, cable TV and seating area. 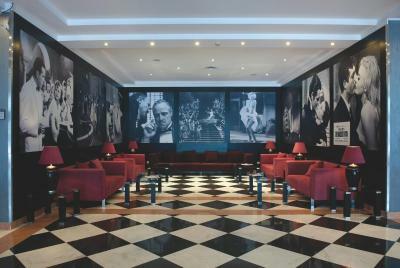 House Rules Vila Gale Porto - Centro takes special requests – add in the next step! 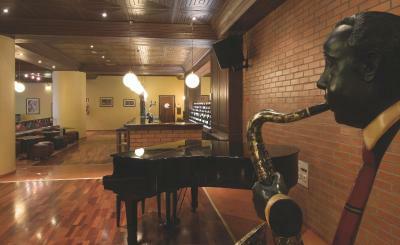 Vila Gale Porto - Centro accepts these cards and reserves the right to temporarily hold an amount prior to arrival. 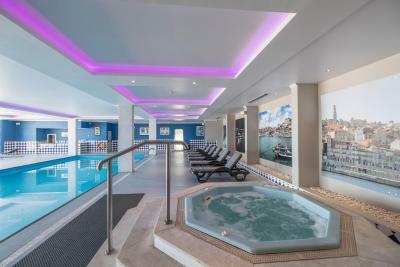 Please note that access to the indoor pool for children under the age of 12 is allowed only accompanied by an adult. 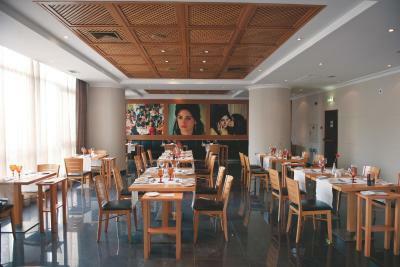 Please note that on the 31st of December the half-board is a Gala Dinner with Entertainment. There are construction work on the road leading to the hotel. The breakfast is ok. Not enough variety. 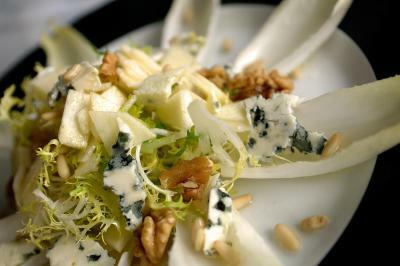 No vegetables or salads. One kind of jam. I did not like the location of the hotel. If you like to walk around, it is not the nicest place. 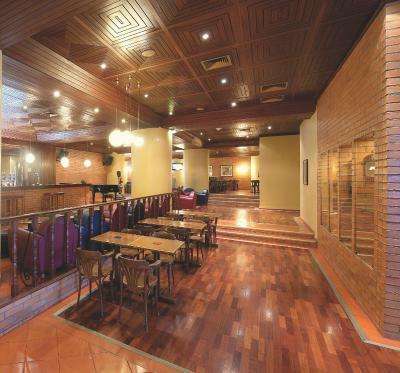 Is very close to a Metro station and public transport is very economical. No vegan/ vegetarian options. Busy swimming pool/ jacuzzi area, especially with children who were diving and disturbing the surrounding people. 1 hour for check in!? No body in the bar at 3pm!? Public parking very expensive. I paid 37€ for 1.5 day. 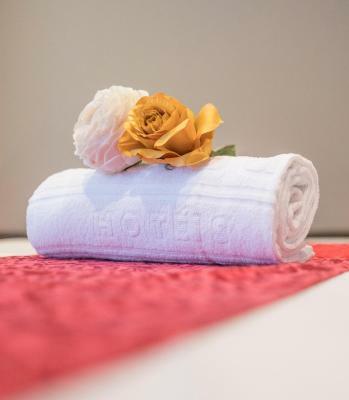 Deliver towels from the pool in the reception - 19 floors down? Strange! Distance from town centre might not suit everyone. The area nearby was a bit run down but never felt ill at ease. 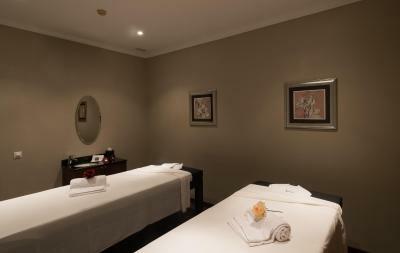 All staff were very helpful and friendly. Good breakfast with plenty of choices. Very happy and would return in the future. The restaurant in the hotel was very good. 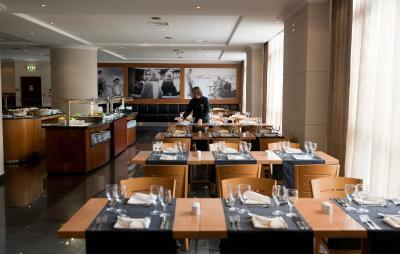 Excellent breakfast, good location, silent rooms to have a good rest at night. I highly recommend for a business stay. Everything properly cleaned and confortable. The restaurant could be better. Staff is not reachable by phone from an external call. 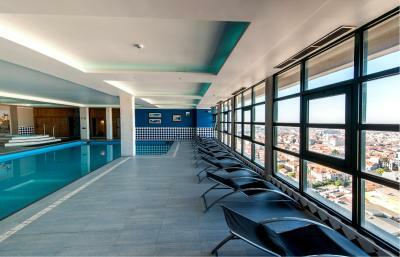 good value for money, nice pool and spa. A la carte dinner, the food was not great. Elevators take long time, only can take certains elevators. 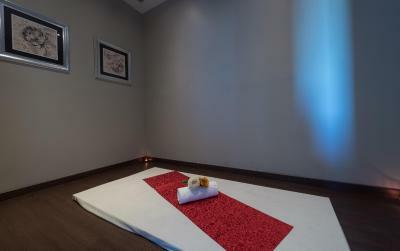 Good service, spacious rooms, pool. Nice brekfast but very expensive 11€ per person. Amazing view from the pool.